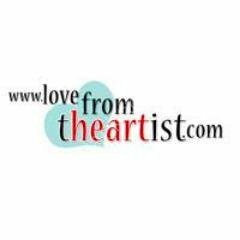 A selection of my prints is now availabe to buy as cards through Love from the Artist.LFTA is a not-for-profit community interest company dedicated to promoting fair trade for artists. They cut out the middle man i.e. the high commission agents, thus ensuring the artist receives a fair amount for their work. So please visit their website, to view my work and to discover many other talented artists. My card designs are stored on LFTA's data base. Simply select the card(s) of your choice and they will print, post and pay me.